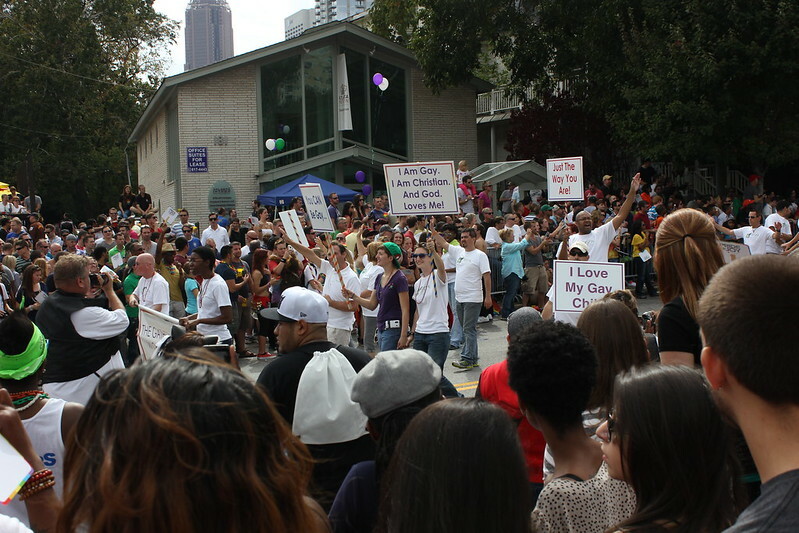 Last week my friend Chuck invited me to the Atlanta Pride Parade in midtown. Chuck and I are co-conspirators of fun, so I happily accepted his invitation as I shamefully told him I'd never been despite having lived in Atlanta since 2005. 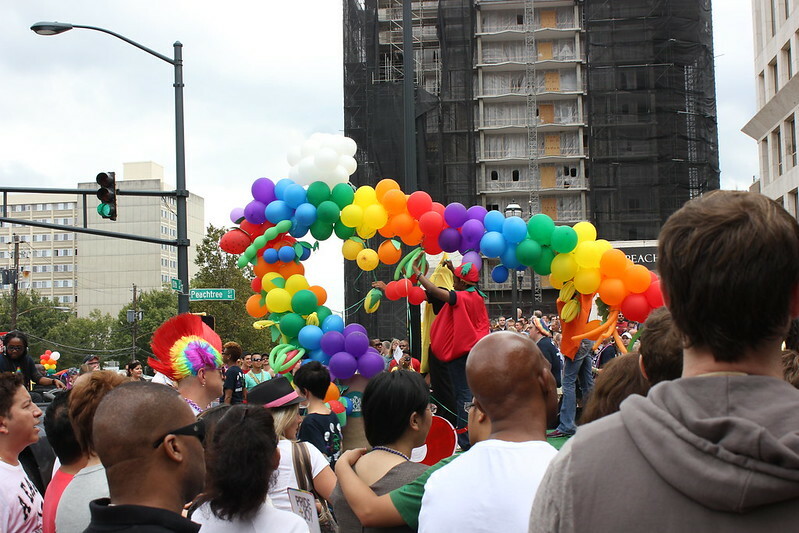 The Atlanta Pride festival has been going on for 42 years and is the largest one of its kind in the southeast. I expected a festive environment full of colorful people, elaborate costumes, and fun music and I was not disappointed. The crowd was lively and so excited to be there and even though I had gone as a spectator, it was difficult not to feel a part of it. I didn't expect, however, to feel any kind of deeper emotion. 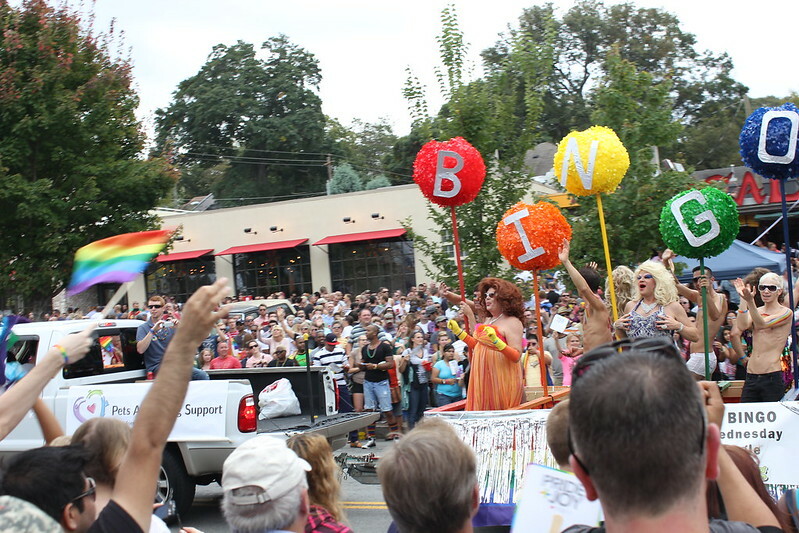 Yet, when church and other spiritual groups walked by holding signs that said, "I love my gay son," "Love is a family value," and "Jesus loves you just the way you are," the crowed erupted in cheers and applause and I was moved to tears. Thank God I had sunglasses on - who tears up at Pride?! Their signs of support reminded me of how much has changed in 42 years, but also how far we still have to go. Don't get me wrong, there were plenty of festival freaks and strange people dressed in period costumes - but their weirdness and poor fashion choices had absolutely nothing to do with their sexual orientation. I've seen way more weirdos at Phish concerts and Dragon Con. 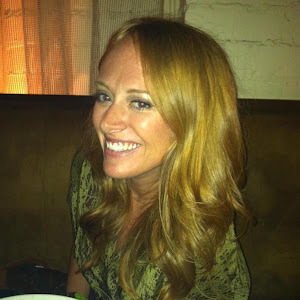 I told Chuck - "I've never worn pants this tight and been surrounded by so many men not checking me out." But what a good time I had anyway. new look, same old nonsense.